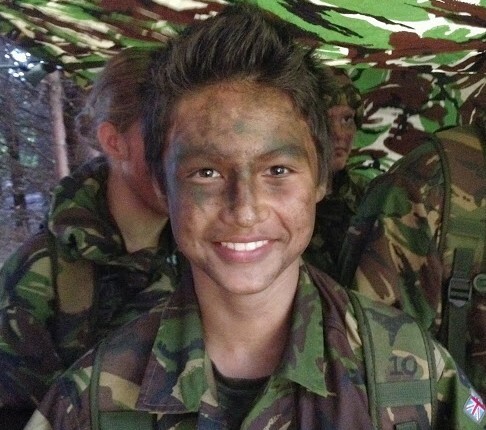 The primary purpose of fieldcraft training is to develop cadets’ personal skills and knowledge in a wide range of activities which relate directly to working and living in a field environment. In addition, it offers a wide range of opportunities for leadership at all levels. Fieldcraft is seperate from Military Skills and covers activities like shelter construction, webbing usage, navigation and personal administration skills and other subjects. Military Skills will be carried on authorised courses such as the Junior Leaders course or Frimley Park leadership courses. The Squadron conducts various FMST exercises at places like DTE Warcop and other Defence Training Estates around the region in accordance with the requirements of ACP 16 Manual of Fieldcraft Training. All fieldcraft activities are properly authorised through the organisation.